Dr. Kellie Rhodes-Gayles graduated from Spelman College with a B.S. degree in Chemistry. She received her Doctorate degree from Northwestern University. 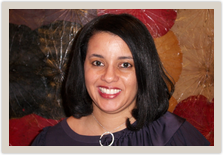 She began her practice of dentistry in Chicago as an Associate in 1993. Between the years of 1993-1995 she was the Dental Director of Illinois River Correction Center in Canton, Illinois. Upon returning to Chicago, she worked as an Associate at Sears Family Dental and later obtained a position at a community health center, TCA Health, Inc. Dr. Rhodes was selected by the U.S. Department of Health Service as a National Health Service Corp. scholar and served as a staff dentist and Dental Director from 1997-2005. In 2003, Dr. Rhodes opened her own pratice, TIMELESS SMILES DENTAL, in Chicago, Illinois, where she is currently practicing general dentistry. Dr. Rhodes is an honored member of such prestigious organizations as the National Dental Association, American Dental Association, Chicago Dental Society, Illinois State Dental Society, Delta Sigma Theta Sorority, Inc., and Jack and Jill of America, Inc.